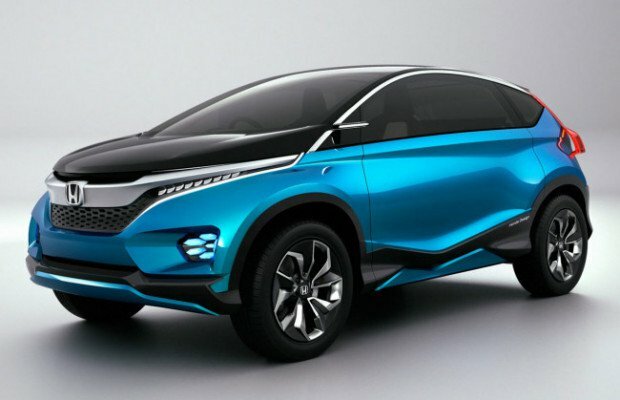 Honda’s upcoming compact SUV to be called as Honda BR-V? Honda CR-V is a popular car from Honda. How about a Honda BR-V? Yes, we are not playing with letters either, Honda BR-V is going to be the name for Honda Brio-based SUV which is expected to be launched in 2nd half of year 2016. South Africa division of MotorOctane has confirmed about this latest news where Honda’s Thailand R&D centre has started its work on BR-V and the car is expected to be completed by end of 2016. Honda shall first showcase the BR-V at 2016 Auto Expo. The official confirmation on the name “BR-V” is yet to be heard. It is expected that Honda BR-V would be manufactured here in India and will be exported to South Africa similar to Jazz’s manufacturing strategy. Honda BR-V is expected to be powered by 1.5-litre diesel engine and the petrol will be the 1.5-litre. The car is expected to come with 5-speed manual and CVT options. Internally, Honda BR-V has been named as “2SJ” and would be manufactured in Tapukara plant ( where Honda Amaze is produced). Honda BR-V might not be as lengthier as 4 metres and with Honda’s man maximum machine minimum philosophy, it can be the most spacious compact SUV. There are various other changes which you can observe in BR-V to make it look different from the existing Brio both internally and externally. The design philosophy of the car is changed and it might match the styling if next-generation Brio. The price of BR-V SUV could be around INR 8.5 to 14 lakhs.